Find Winchester, KY farms for sale below! The land on Winchester farms varies quite drastically, with high-quality lands in the west and lower quality acreages in the east. The western lands have such desirable soils that a few families have owned much of the land for multiple generations, as it has become too invaluable to sell for profit. Winchester land has managed to escape the development that has occurred in much of Central Kentucky, resulting in tranquil farms and sprawling lands that go on for miles. Winchester is the closest community to Lexington with the freedom to ride for hours without retracing any steps. As a result, it's a fantastic place for both recreational and professional horse people. Read more about Winchester or browse current farms for sale below! When you decide to invest in Winchester farms, you'll be met with plenty of options. The Winchester real estate market offers the full spectrum of rural-style properties. 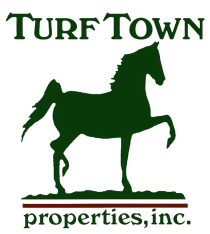 Million dollar estates that span more than 200 acres make the perfect space for agriculture or commercial horse farming ventures. Explore expansive properties that are home to handsome heritage houses that date back to the late 1880s and feature exceptional Southern architecture and old-world charm. Find examples of more recent construction that includes every modern amenity and all the convenience of contemporary design. If horses are your passion, you'll find that many of the farm houses in Winchester are accompanied by stables that have space for anywhere between two and ten horses. For some home buyers, this is an exceptional convenience. It's rare to find a farm that has both your dream home and your dream barn, but in Winchester, it is possible. Winchester homes for sale were designed to offer residents a high quality of life. Wrap-around porches provide an expansive space where homeowners can relax in the sunshine and reflect on rolling hills, brilliant blue skies, and leafy green trees. Living rooms are expansive. Many feature handsome stone fireplaces where families can gather round in the evenings. Many kitchens adopt a large, open kitchen which provides residents ample space to prepare meals in a beautiful, yet functional, space. Residents of Winchester love living here for its welcoming and warm community and stunning landscapes. This city offers tremendous amounts of character and plenty to do. From a local brewery, to museums, to wineries, to shops, to hiking trails, to restaurants and everything in between, Winchester truly has something for everyone. When it comes to community, the town of Winchester has a lot to offer. A well-developed parks and recreation sector ensures that residents are never left without things to do. Marathons, fitness classes, swimming, and kids' camps are just the tip of the iceberg when it comes to fun in Winchester. The downtown core is a charming compilation of shops that embody all the charm of a classic American small town. There, you'll find all of your basic needs can be met by a range of independent and major retailers.. Despite the premium farm lands in Winchester, the region has remained relatively void of major horse farms. Nursery Place is currently located in the city, while Bwamazon Farm was originally built in Winchester as well. 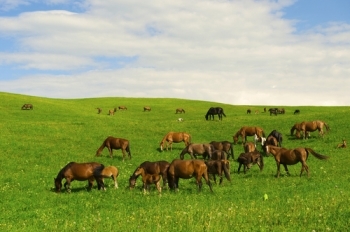 Meanwhile, a number of smaller horse farms have absolutely flourished. Similar to Nicholasville and Versailles, this city is a pocket community of Lexington. And Winchester farms for sale are affordable, fruitful, and filled with endless opportunities. The Clark Regional Medical Center is one of the community's major draws, attracting home owners from the eastern regions of Kentucky. The center is a 79-bed hospital specializing in many areas of practice and offers a general practice clinic with very friendly staff.